The WHO Executive Board Meeting vol. 2 | Beyond Geneva's January debates! Home / The WHO Executive Board Meeting vol. 2 | Beyond Geneva’s January debates! The WHO Executive Board Meeting vol. 2 | Beyond Geneva’s January debates! 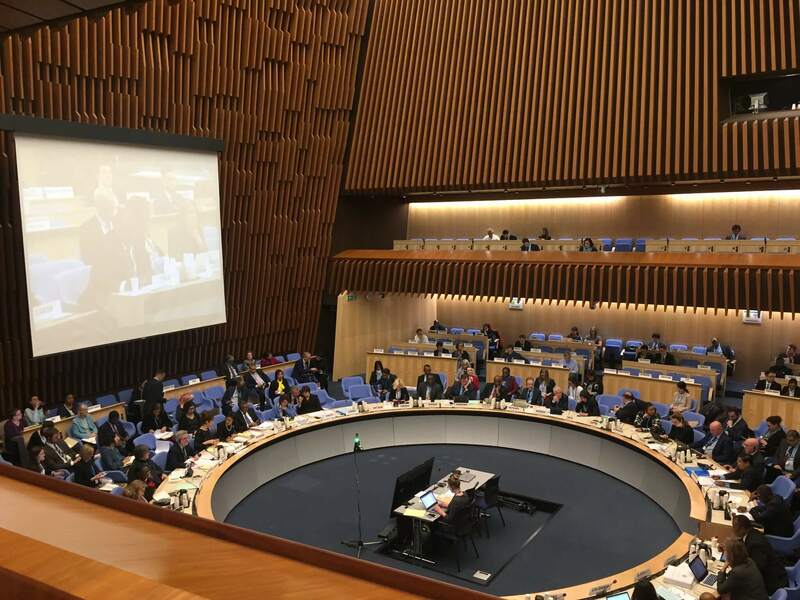 Week two of the WHO Executive Board meeting was filled with discussions about Universal Health Coverage, access to medicines, human resources for health, the WHO internship program, among other topics. 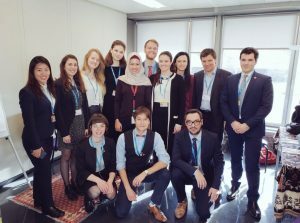 IFMSA delivered 13 statements during the entire WHO EB Meeting, encompassing almost all agenda items, and highlighting the important role of youth in healthcare, not only in the implementation but also in the design of health policies. Several of our statements were also supported or co-authored by our partner organizations, such as the World Medical Association, International Veterinary Students’ Association (IVSA) or International Association of Dental Students (IADS). Overall, we advocated for universal health coverage and the elimination of financial barriers and discrimination, as well as for the inclusion of youth and young health professionals in decision-making, namely through the inclusion of youth delegates in member-states delegations to WHO events. Our statement on Human resources for Health included a reference to the gender pay gap and the lack of gender representation in healthcare decision making, this in spite of the fact that females form the majority of the healthcare workforce in almost all countries in the world. We also had the opportunity to express our disappointment with the fact that youth was left out of the Astana Declaration on Primary Health Care, and called for the inclusion of all stakeholders, including youth, in the future, especially during the High-Level Meeting on Universal Health Coverage, taking place in September, during the United Nations General Assembly. The Executive Board also decided to endorse a proposal to designate 2020 as the Year of the Nurse and Midwife. This will be voted on during the 72nd World Health Assembly, in May 2019. Nurses and midwives play a very important role in the progress towards Universal Health Coverage, especially at the primary and community healthcare level. This proposal is in the spirit of recognizing the role of nurses and midwives in the community engagement of health and as this year marks the 200th anniversary of the birth of Florence Nightingale, who is widely recognized as one of the first to modernize the nursing profession, mostly during the XIXth century Crimean War. Promoting the health of refugees and migrants, Global Action on Patient Safety and WHO engagement with Non-State Actors would be a few topics of interest to track through the upcoming World Health Assembly. With diverse approaches of Member States towards these topics, we can expect interesting and engaging discussions during the World Health Assembly, and hopefully, with non-states actors shaping debates through powerful advocacy for health as a basic human right. IFMSA also worked with other youth organizations and WHO staff to prepare a series of youth-related events during WHA. We firmly believe that youth-led organizations and early-career professionals have an indispensable role in shaping local, national and international health policies and therefore their involvement in global health decision making is of paramount importance. Stay tuned for more information about the youth involvement program of the WHA during the upcoming weeks!